The iconic Milk & Co. packaging design for men was inspired from a thick bottomed whiskey glass, the raw ingredients are printed directly onto the front of the frosted pack, where there’s nothing to hide, just like the product itself. 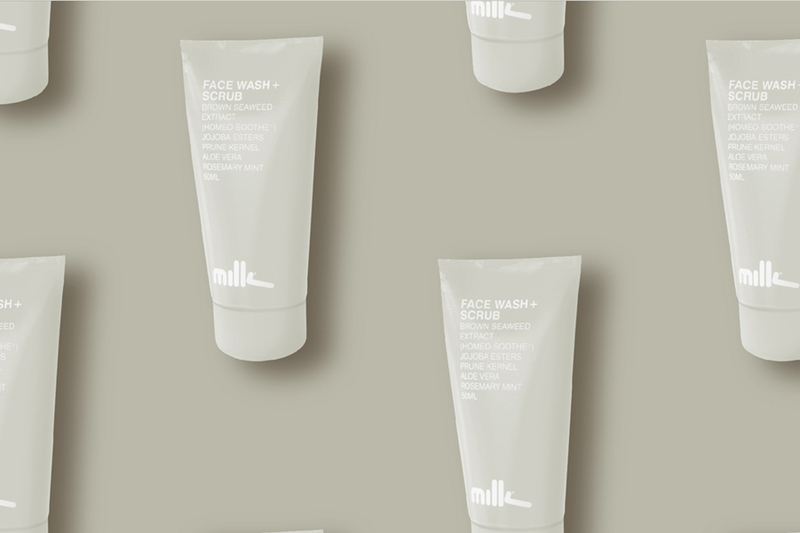 A unique dusty shade of pink, spacious design and minimal type formed the basis for the new Milk Women’s range of Moisturisers and Hand Creams. Designed to complement any bathroom, this unique colour also stands out to any discerning customer on the shelf.